The world has embraced mobile technology. The use of smart phones and a multitude of portable devices are now standard. The shop-floor should be no exception. Huge advances in computing power and wireless connectivity has meant that what was once the domain of the senior office executive, is now available to every staff member, everywhere. 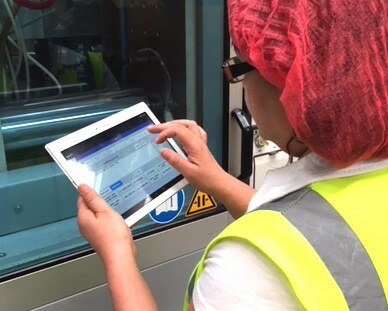 Operators may input job information via a touch-tablet or smart device on the shop floor, meaning there is no need to fill out, collect, and collate paper forms manually, delivering significant labour savings, and improved data accuracy. Use fixed or resting at a work centre or as a personal mobile device. Rugged devices for Tool Setters and Engineers. AspectPL supports Windows, iOS, and Android mobile platforms. Sledge-based iPod or commercial bar-code scanners may be deployed by packers to enable carton and personnel tracking. 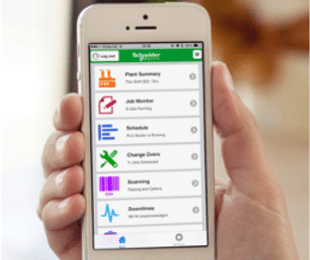 Mobile updating of yields to enable time or event-based export to the ERP system.